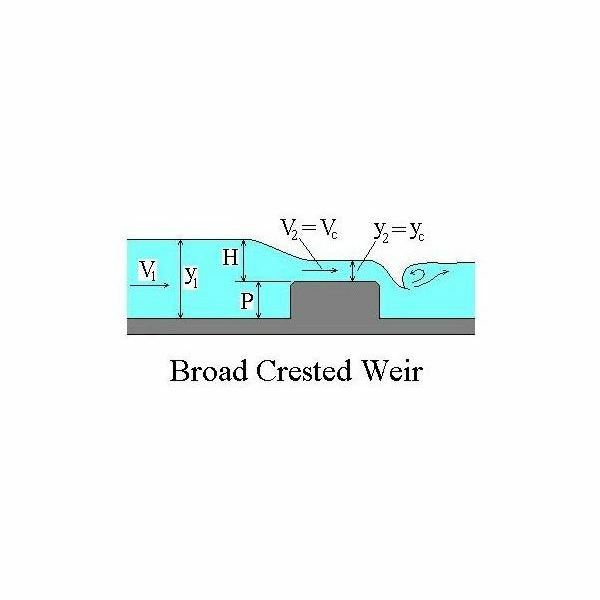 A broad crested weir, as shown in the picture at the left, is typically a flat topped obstruction used to measure open channel flow rate. 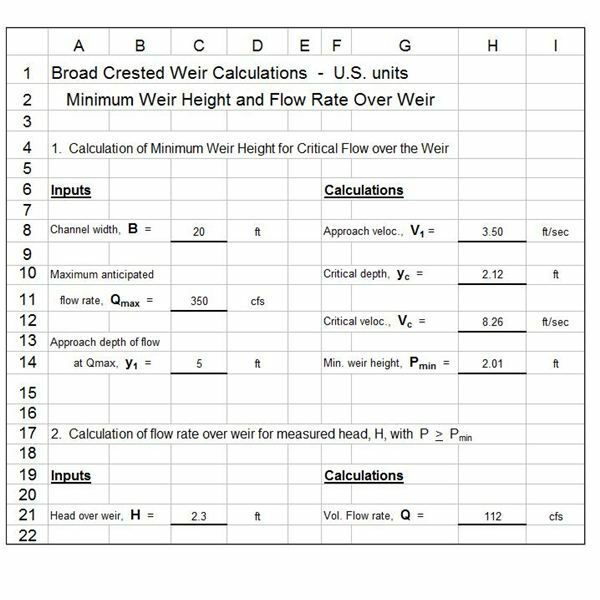 The Excel spreadsheets that can be downloaded from a link later in this article can be used for broad crested weir flow rate calculations. The spreadsheets can also calculate the minimum height needed for a broad crested weir in order to ensure critical flow over the weir crest. 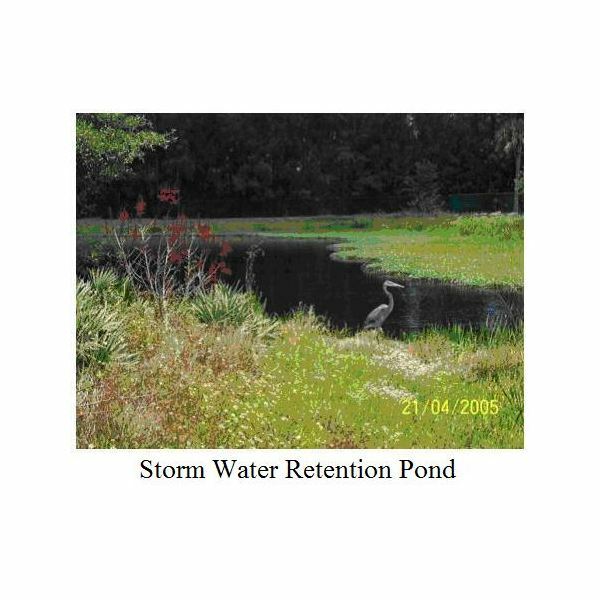 Additional background and example calculations are available in the article, "Open Channel Flow Measurement 3: the Broad Crested Weir." where Q is the flow rate in cfs, L is the length of the weir in ft, and H is the head over the weir (as shown in the diagram at the right) in ft. This simple equation comes with a caveat however. There must be critical flow over the weir crest in order for this equation to be used. y1 + V12/2g = y2 + P + V22/2g, an expression of the energy equation, using variables shown in the diagram. P, y1, and y2 are in ft, V1 and V2 are in ft/s, g = 32.17 ft/sec2. V1 = Q/y1B, from the definition of average velocity in an open channel, assuming that the channel is approximately rectangular in cross-section. B is the width of the channel, typically equal to the weir length, L.
Vc = Q/ycB – This is the same as the previous equation, but for the flow over the weir crest. 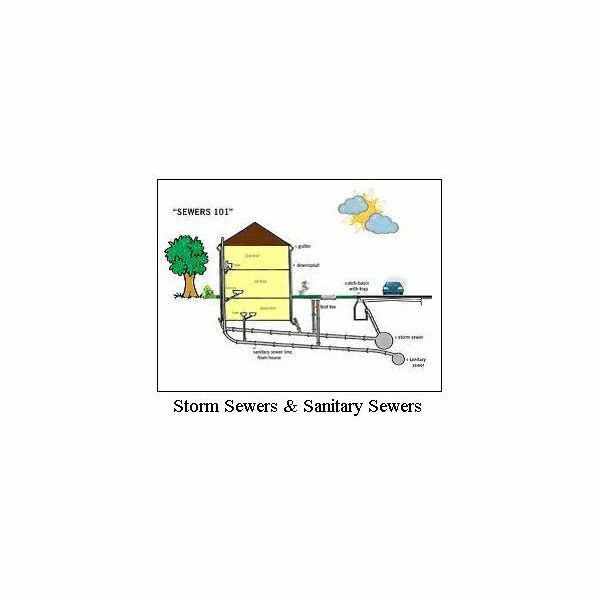 yc = [Q2/gB2]1/3, based on the fact that the specific energy is a minimum for critical flow conditions. The Broad Crested Weir Article mentioned above gives more detail on these equations and an example calculation of P for specified values of Q, y1, and B. 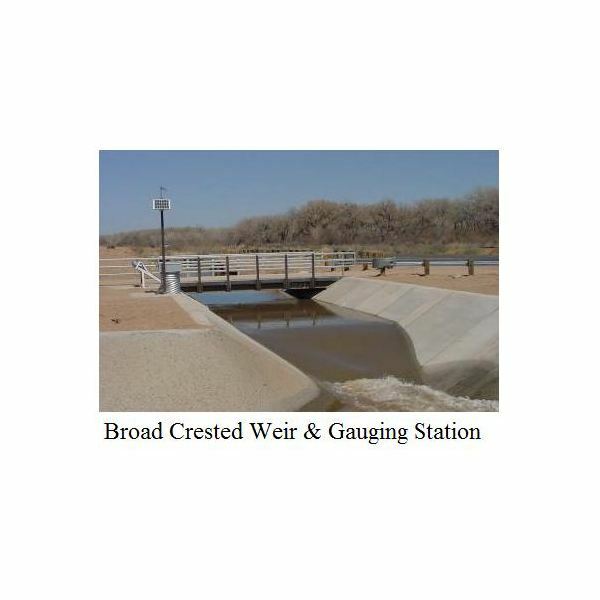 The image at the left shows an Excel spreadsheet that can be used to calculate the minimum broad crested weir height needed for critical flow, with specified channel width, B, maximum anticipated flow rate, Qmax, and approach depth of flow, y1. 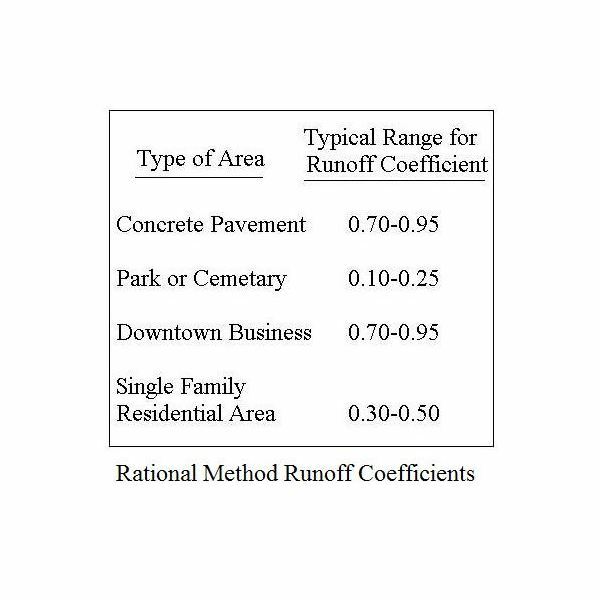 The Excel formulas will also calculate the open channel flow rate for a specified head over the weir, H, assuming that critical flow takes place over the weir. The Excel spreadsheet shown and the equation given are for U.S. units. The four equations given for calculating P remain the same for S.I. units, with flow rate in m3/s, velocities in m/s, depths and widths in m, and g = 9.81 m/s2. 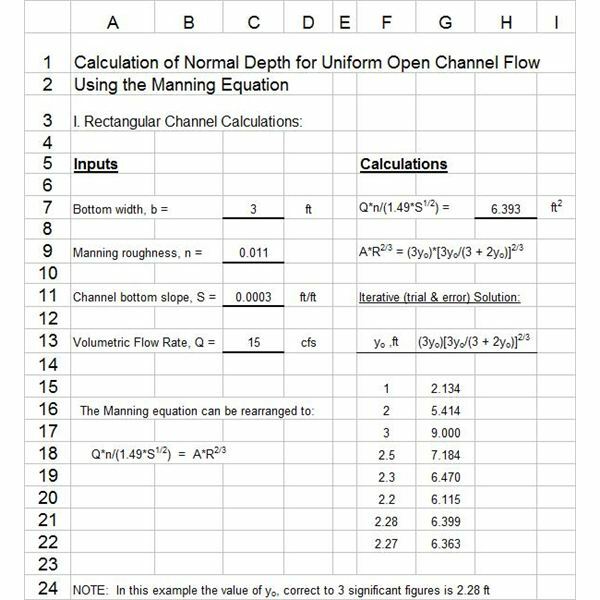 The equation for flow rate becomes: Q = 0.886 L H3/2, with Q in m3/s, and L and H in m. The spreadsheet shown is available in either U.S. or S.I. units through the following links. 1. U.S. Dept. 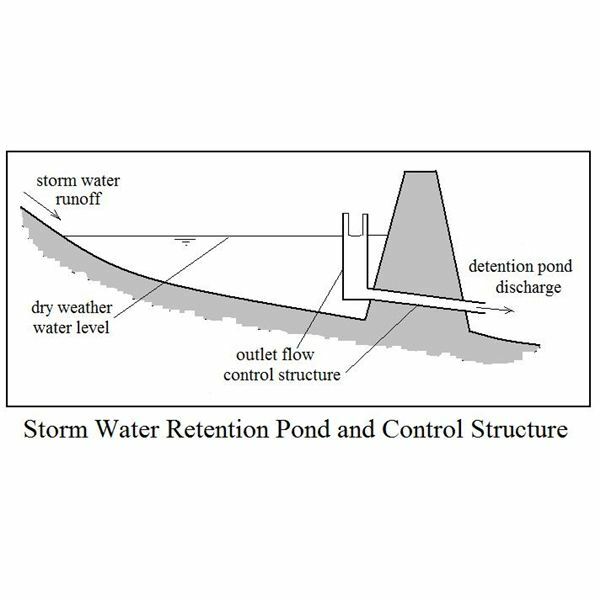 of the Interior, Bureau of Reclamation, Water Measurement Manual, 2001 revised, 1997 third edition. 3. Chanson, Hubert, Hydraulics of Open Channel Flow: An Introduction – Basic principles, Sediment Motion, Hydraulic Modeling, Design of Hydraulic Structures, Second Edition, New York, Elsevier, 2004. 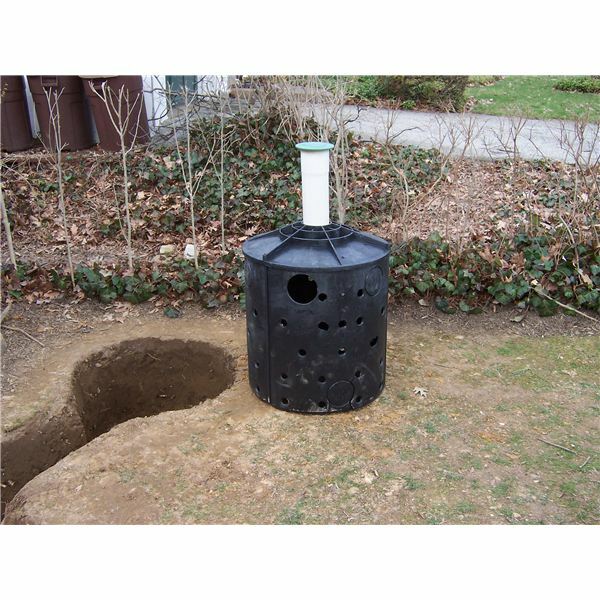 These contain Excel spreadsheets that can be downloaded for open channel flow measurement devices, such as V-notch weirs and rectangular weirs. The Excel spreadsheets can be used as a weir flow calculated in each case.